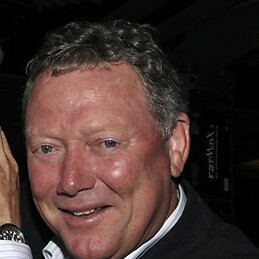 Kim Hughes is a former captain of the Australian Cricket team. He played 70 Tests and 97 One-Day Internationals between 1977 and 1985. Hughes made his first-class debut at the WACA ground in 1975. With a stunning display of batting prowess against a formidable New South Wales team, he became the fifth Western Australian to make a century on debut. The golden-haired Hughes was a master stroke maker who played with flair and determination. He was a player that crowds paid their money to come and see play. During the 1980 centenary Test at Lords he became the only player to have hit a six on all five days of a Test match. On a difficult MCG pitch on Boxing Day 1981, Hughes showed his grit and courage to make a powerful unbeaten 100 against a rampaging West Indian attack that included: Michael Holding, Andy Roberts, Joel Garner and Colin Croft. The century gave the Australian’s the edge in a low scoring match, leading to a 1-0 series lead. The Wisden 100 ranks this innings as number 9 in the top innings of all time. At age 24 Hughes became the first Western Australian to captain the Australian Test team and the second youngest in history. He would lead the team in 28 Tests. Hughes was also at the helm of the Western Australian team during three Sheffield Shield victories. Hughes is a passionate and inspiring speaker who speaks on all things cricket.